Verizon’s director of education programs Justina Nixon-Saintil looked at her sons. They were average, fun-loving teen and preteen children who enjoyed wearing hoodies, playing games and simply being kids. While thinking of her well-mannered and educated sons, she also thought about how they were perceived by those outside of her home. Then she began to think about other African-American teen boys whose lives were cut short for doing things any normal teen should be able to do without being prejudged. Trayvon Martin, a 17-year-old who was shot and killed by a neighborhood watch volunteer while wearing a hoodie and walking down his street, was one of the first who came to mind. It was these thoughts that inspired Verizon’s powerful #YouDontKnowMe public service announcement, which highlights innovative inventions and the potential young black and brown men have while attempting to crush the stereotypes that these children often face in life. 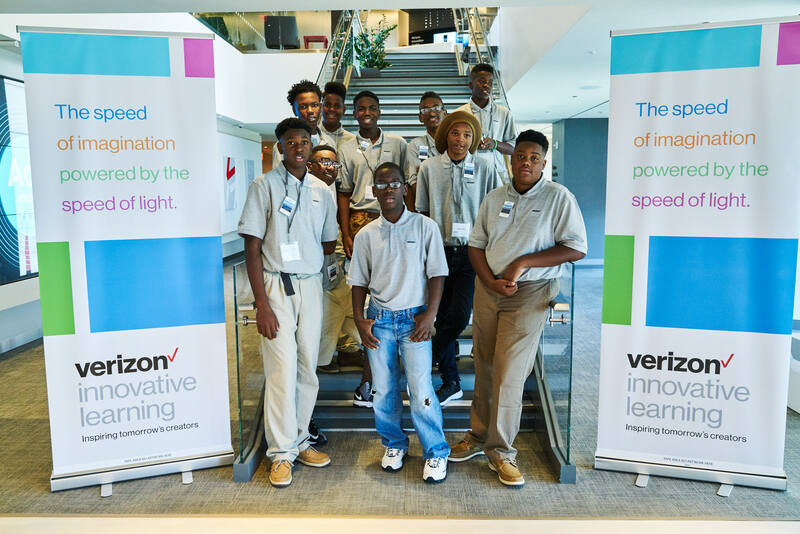 With her sons and other young African-American and Hispanic men in mind, Nixon-Saintil and her team set out to begin the Verizon Innovative Learning for Minority Males initiative, in efforts to increase interest in science, technology, engineering and math (STEM) careers among children of color. Through research, the team learned that many STEM programs were aimed toward getting young women and girls involved, but the larger programs neglected to reach out to young men and boys. According the National Science Foundation, only 3.6 percent of African-Americans are engineers. Out of the 121,000 mathematical scientists, only 9,000 are African-American or Hispanic. To rectify this, Nixon-Saintil and the team developed the initiative, which includes a program designed to provide skills that young African-American and Hispanic men would need to navigate through life and pursue STEM careers. In 2015, the program partnered with four historically black colleges and universities (HBCUs) for its launch. The bright-eyed and eager middle school boys between the ages of 11 to 13 began to learn the mechanics of 3-D printing, coding, application development and robotics while holding engaging conversations regarding entrepreneurship and mentoring. One summer of learning this information was successful, but Nixon-Saintil believed the program would have a greater impact if extended. When the program was over, the young men were invited back to participating campuses for at least one Saturday per month to learn more about their respective topics. With the help of her team, part two of the program began this summer and added seven more HBCUs and one Hispanic-serving institution to the list of participants. Nearly all of the kids from the previous summer returned to the program and were introduced to a higher level of skill-building along with critical thinking, collaboration and negotiation skills, and team building. At the end of every summer program, each student has to generate an idea that they’ve been developing throughout the course of the program and produce a product to pitch based on their idea. 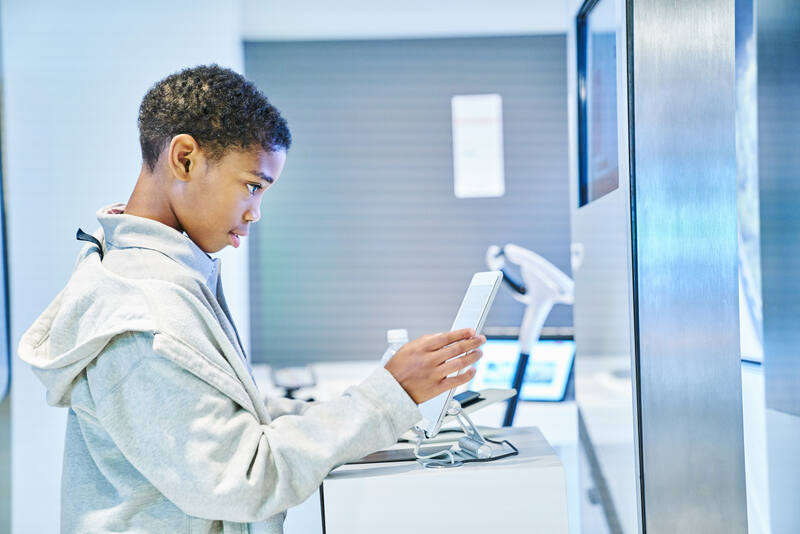 In a summit held in San Francisco last week, 100 of the students from the program’s participating campuses visited the Verizon Innovation Center, where they tested augmented reality and other new technology. They also received the chance to visit Lucasfilm and learned how programming and engineering skills come in handy while working on sets. During a trip to Levi’s Stadium, home of the San Francisco 49ers, the kids went through an exercise that taught them how to design a helmet that would better protect football players. Besides the confidence and skills the young men earn, many of them also realize STEM fields are careers they’d one day like to pursue. At the start of the program, surveys were conducted and revealed that most of the children aspired to be athletes. Today, becoming computer scientists and engineers also top their lists.